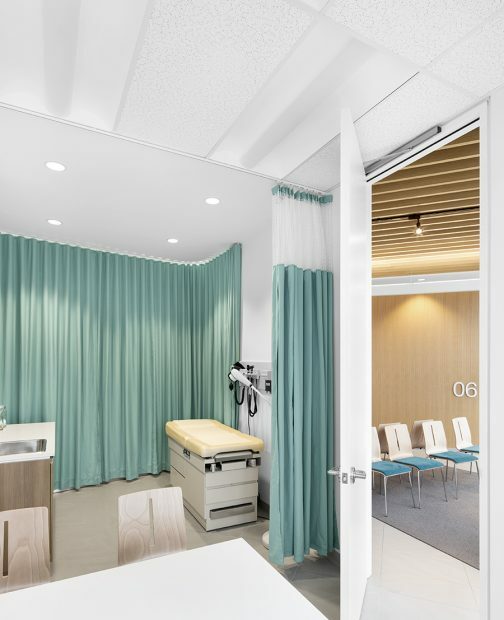 The interior layout of the Centre Médical Alexandre is part of our continuity plan with the Uniprix Kieu Truong pharmacy located on the ground floor. 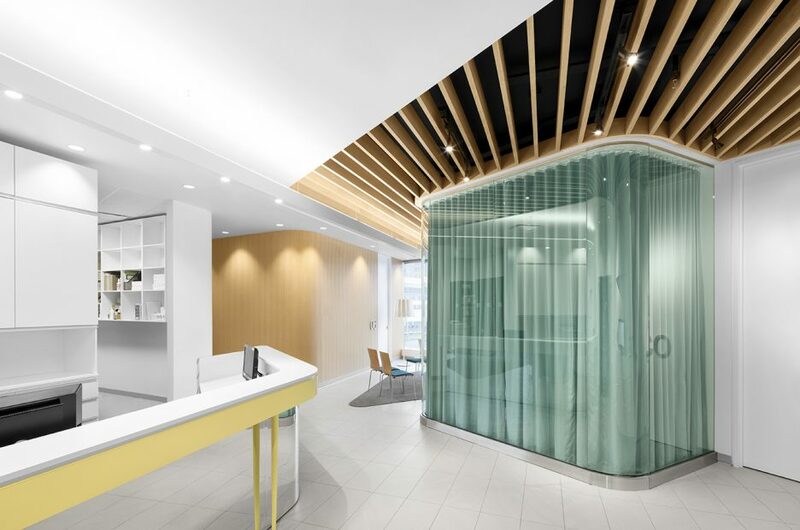 In fact, we wanted to express for the medical centre the spirit of clarity and simplicity present in the pharmacy, of which it is also the property. Covering a surface of 3,000 sq. 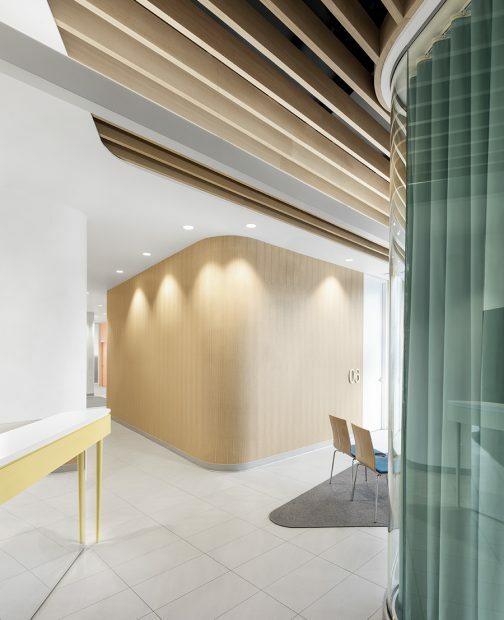 ft., the space has a similar aesthetic, in terms of non-linear spatial organization and rounded volumes. 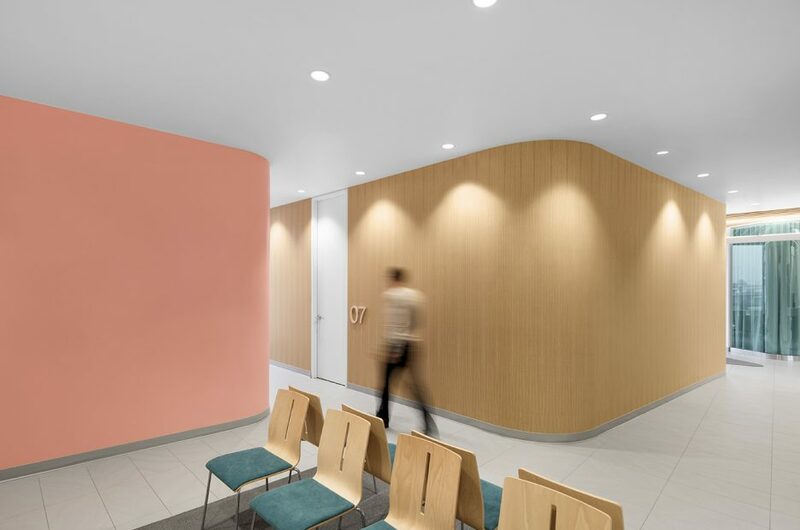 The opacity of the surfaces and the pastel accent are also factors, in so far as the pharmacy, of symmetry and harmony, especially the light yellow colour for the notion of sociability in feng shui and the green for its freshness. 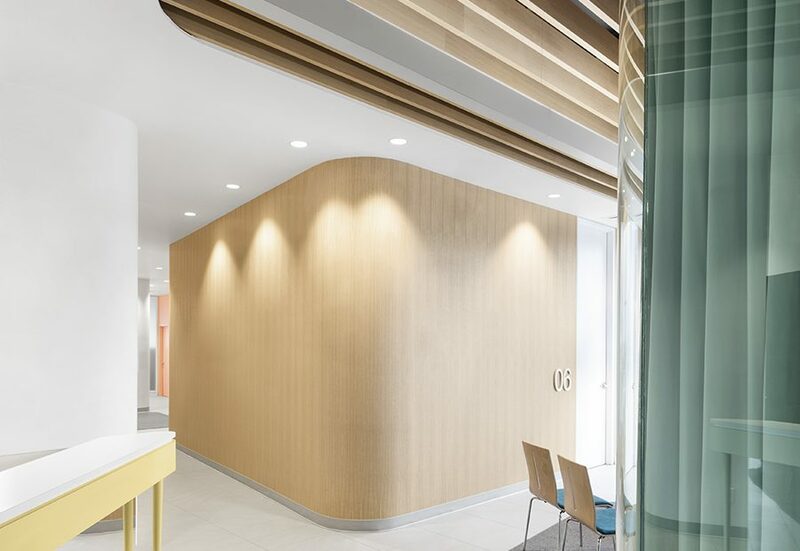 However, this interior design project for commercial interiors promotes a key variant, in particular the unusual use of honey-coloured wood used for its luminosity and refinement. 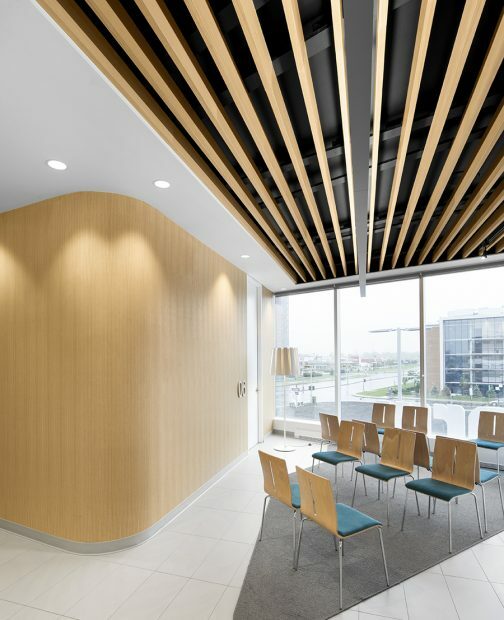 As a structuring element, the wood does not interrupt the flow of energy in the south waiting room, which already benefits well-being to those in that room, still according to feng shui.